Drain the chickpeas and place in a blender (use a hand-held stick blender, if you prefer) or bowl. 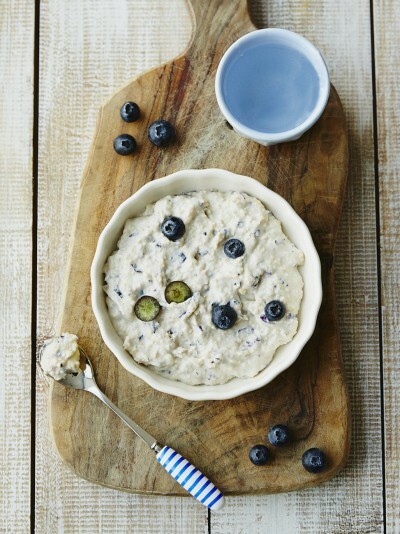 Add the blueberries and yoghurt, then either blend to a puree, pulse, mash and/or finely chop depending on the stage your little one is at (for more information on stages of complementary feeding, click here). If it’s a bit too thick, add a little water to loosen, then serve.